Habit is everything when it comes to consumer use. This is why businesses stay open 24/7. This is why Baltimore’s metro must have more destinations so more people are familiar with how the system works and are in a habit of using it. Wow! Talk about low-hanging fruit. I use the Metro frequently and often reflect on how many of the stations are located in Baltimore neighborhoods containing some of the best architecture and livable/walkable densities in the city — competitive with any of the best east coast neighborhoods. We often don’t know how good we have it in Baltimore. A few high impact/low cost projects like this one would transform how the city thinks of the Green Line and — great point — pay immediate dividends in terms of bringing tourism out of the Inner Harbor and into the rest of the city. Dramatic and transformaive economic benefit could be created for the neighborhoods and residents around the Mondawmin/Zoo/DHP station. 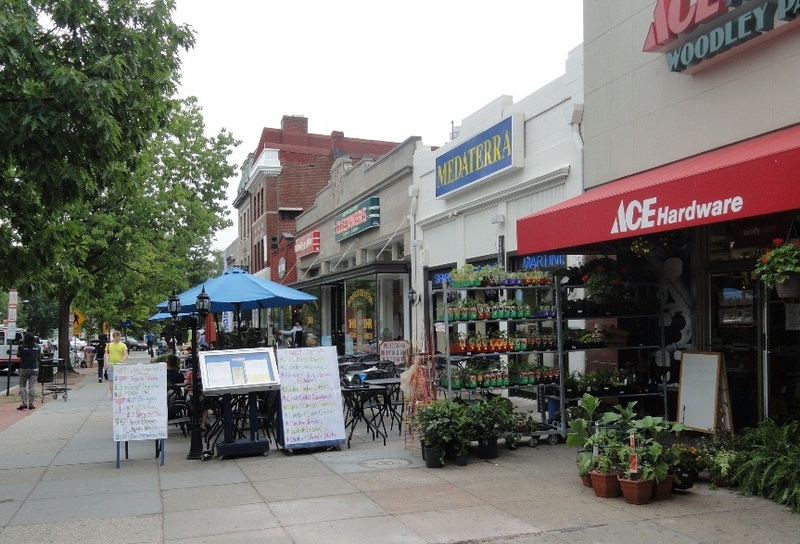 While decidedly more complicated of an undertaking, the proximity of the next station north on the Green line, West Cold Spring, to Pimlico could also be explored. Between Pimlico and West Cold Spring station is the old Avalon retail/entertainment district along main street in Park Heights. The Avalon Theatre actually still exists there to this very day. The same kind of thinking will help us unlock the tremendous potential around the future Red Line stations. 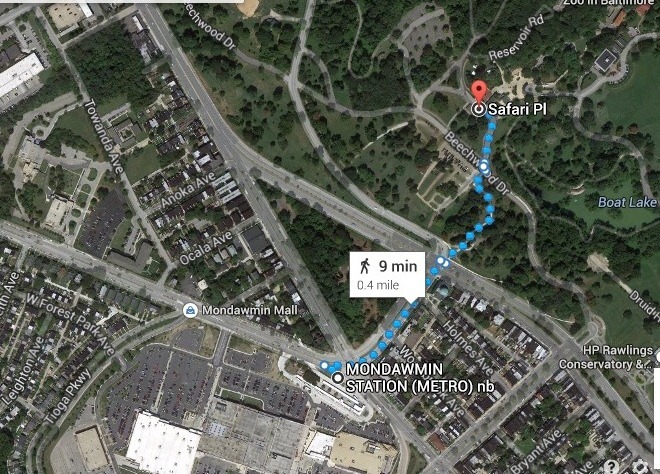 I agree that the Mondawmin Metro Station and the Baltimore Zoo could mutually benefit from stronger wayfinding and urban design connections. As a resident of Auchentoroly Terrace, I also strongly agree that the road should be shrunk by half and traffic significantly slowed with narrow lanes, additional crosswalks and better signage making clear to motorists that pedestrians have the right of way.